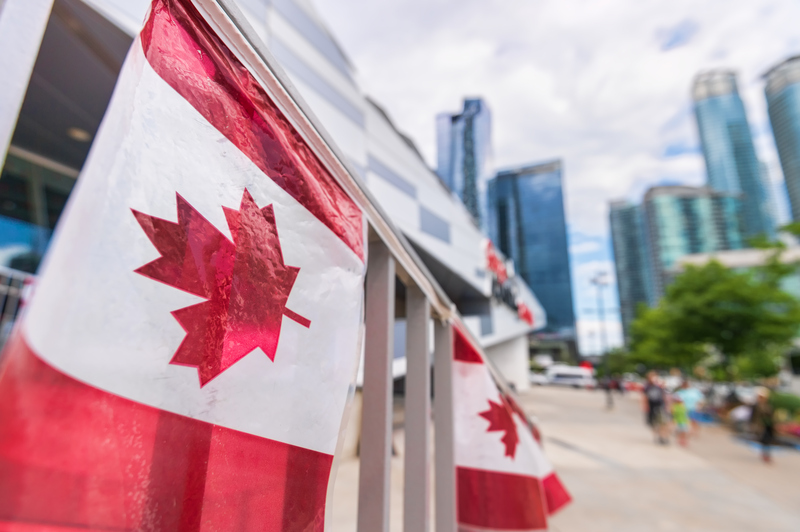 Editor’s note: The Canadian collision repair industry makes for an interesting counterpoint to the U.S. market given Canada’s emphasis on occupational certification and apprenticeships — even amid what has been reported to be Canada’s own tech shortage issue. Given recent concerns over the competency of the U.S. collision repair workforce and employers’ ability to attract talent here, we thought readers might be interested in this update on both issues from the head of one of Canada’s leading auto body trade groups. The discussion centers around Ontario — a province that houses nearly 40 percent of Canada’s population. In the spring of 2018, the Ontario collision repair industry trade association Collision Industry Information Assistance, Ontario College of Trades and Workplace Safety and Prevention Services health and safety agency looked at the latest data for our trade. In Ontario, there are as of April 2018 a total of 4,494 licensed technicians in collision repair and in auto body. (Automotive painter and automotive glass technician are voluntary trades and do not require trades licensing.) These trades are restricted and mandatory, meaning that if you are performing most work in these trades, you must be trades licensed. Failure to be licensed brings with it enforcement action which may include being given a warning, being sent home, a ticket or charge. There are 814 apprentices in the mandatory collision and auto body trades. The average age of a technician is going down in the last three years from 51 to 49 years old. Apprentices are getting older, aging from 27 to now 29 years old. And they are better at working safely. New WSPS data from the Workplace Safety and Insurance Board show that auto body and collision repair shops’ Lost Time Injury rate were dramatically lower than all other sectors in the automotive repair sector. In fact, your chances of being injured on the job are a third of the chances of getting injured on the job in another similar business like automotive general repair or auto recycling. Shops are still not registering for payment of WSIB premiums, with only 1,277 shops showing as having an account. There are 9,277 equivalent full-time staff working in the Ontario industry that are paying premiums into the WSIB, largely through their employer. 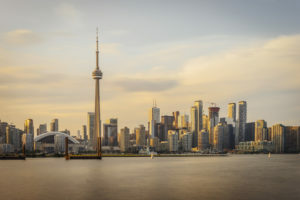 Typically, WSIB suggests a 25 percent non-compliance value but that rate in this industry is generally considered too low, and some shops are exempted due to possession of their own private insurance coverage or family business status. Typically, the industry is viewed at employing about 12,000-13,000 people in Ontario, which has the largest number of collision and auto body repair facilities in the country. Statistics Canada 2015 data shows 8,926 shops in the country, with just over 82 percent of those shops actually making a profit according to the latest data. 1) CIIA provides a three-day audit program of community college-delivered programs with the cooperation of the college. These audits examine the delivery of the curriculum, interview staff and students, review equipment and interview employers in the area for what additional areas employers feel should be better emphasized or more effort spent on current curriculum issues. Employers should be able to rely on the training standards and published curriculum to determine the skills level of their apprentices when exiting a two-month training session at the college. 2) A new exemption test for Autobody Collision Damage Repairer Level 1 is now available and in use at all colleges in the province, not just the colleges that provide auto body and collision damage repairer (ABCDR) training. This exemption testing now allows those students that have some experience or even some training in the field to be able to prove competency. If successful, they can bypass Level 1 training on their way to becoming a good technician and can then eliminate a year of their training requirements based on their experience. Copies of the application form are available at each college. A package is also available from CIIA. 3) As of November 2017, more grants and incentives are now available to assist both employers and apprentices in the auto body and collision damage repair trade. Incentive grants to the employer range from $2,500 ($1,911 USD as of Sunday) in the first year to $4,300 ($3,289 USD) when the apprentice becomes a tech. These grants, including the new apprentice loan of up to $4,000 ($3,059 USD) per semester of training, and the $2,000 ($1,529 USD) given to an employer on hiring and again at six months of apprenticeship or worker employment, help reduce the risks employers are faced with and make a hiring decision easier. Female worker and apprentice hirings generate even larger incentives to employers, and the federal government has identified a new federal incentive planned in the last budget for trades that have few female workers with a further up to $6,000 ($4,595 USD) for the employer to hire female workers. 4) The association website www.ciia.com has been expanded to better feature job postings and resumes and to help shops with sample female-oriented ads, templates, interview techniques and female-friendly employment options for shops. 5) Curriculum at three school boards (and soon a fourth) were, with the permission of the provincial government, removed from the Grade 11 and Grade 12 delivery at high schools and replaced with the province’s Level 1 apprenticeship program. This new curriculum was designed by industry to better meet employer and industry demands. This means that students graduating from high school will be a full year ahead of their competitors and may be exempted from the Level 1 training at the community college. This would make these students eligible for hiring one year earlier as techs and with skills needed by shops. 6) A new curriculum has been designed for the Branch 2 auto body program and now put into place. This will help more employers who may have wanted to hire an eager apprentice who did not have the required educational background to qualify for the collision repair technician trade. 7) CIIA has again this year endorsed the pre-apprenticehip training courses in Hamilton and Toronto with letters of intent from employers to assist delivery agents in their successful efforts to attract government funding for this training. These two classes alone will generate a further 40 new apprentices and techs this year. CIIA has also provided Tool Awareness training for some pre-apprenticeship courses to help students become more familiar with what work they are expected to complete for their employers during their initial co-op work placement. 8) Community colleges that deliver apprenticeship training for the Autobody Collision Damage Repairer trade are pleased with additional funding approval this year for more apprenticeship classes. Algonquin College will now be able offer a Level 3 class, for instance, and more classes are scheduled over last year at Mohawk, Centennial and Fanshawe Colleges. CIIA, in partnership with 3M Canada, organizes graduation ceremonies at each of these colleges, with food/refreshments and acknowledgement plaques and awards, offering ongoing communications with the students including free admission to our training programs. It’s important to stay in touch with our young people in this industry. 9) The Branch 1 Auto Body Collision Damage Repairer technician curriculum was redone by industry and community colleges and partners to reflect the newer technologies coming into the industry rather then technologies that we used to work on. Because newer technologies like adhesive bonding, paintless dent repair and pre- and post-scanning issues were added to the course, graduates and apprentices will now be more valuable to employers. Staff will get a higher reimbursement level and be able to handle tasks that previously were contracted out, again making apprentices even more valuable. 10) CIIA graduates more than 100 students each year from our Certificate of Qualification exam preparation course (that often are two-thirds cost repayable by the province) and that assist challengers and those “apprentices” with training needs for extra help to pass the trades qualification exam, because they did not finish their classroom time at the colleges or did not attend all training levels. Due to these classes, the pass rate for challengers (persons who have the hours in the industry but not the apprenticeship classes behind them) has dramatically improved. To be allowed to challenge the exam, challengers can successfully complete a Technician Equivalency Assessment (available at no charge from CIIA), which is a listing of competencies that are supplied to the Ontario College of Trades for permission to take the exam. More than 90 percent of applicants — 400 auto body and collision damage repair technician candidates — have been approved to take the exam. 11) New recent changes and additions include: Efforts towards inter-provincial harmonization for the trade may mean going to a four-intake process rather than the three school intakes now offered. Early this year, the hours limits were improved, regardless of educational qualification, which would allow for an individual who had trades status as an auto body tech to be able to take the collision repair exam after serving a further 2,000 hours in the trade. The processes and opportunities for more, advanced skilled staff are here already and getting better. What still often is missing is employers that care enough to properly retain staff, rather than keep running ads to replace leaving techs who get abused, and for more businesses to actually create and maintain some employment human resources programs that ensures employees have an identified path forward. 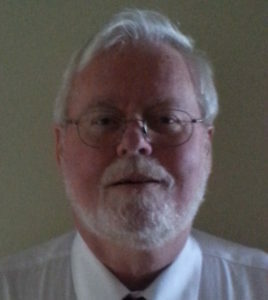 John Norris is the executive director of the Ontario collision repair industry association Collision Industry Information Assistance, senior adviser to the Autobody and Collision Damage Repairer trade board and collision chairman of the National Automotive Trades Association.